CITY OF GALENA PARK will hold its 1st Annual 4th of July Festival, at 1600 16th Street from 4:00 pm to 10:00 pm. Sponsored by the Committee for a Better Galena Park, it will feature Activities, Food, Games, Music and Fireworks at 9:00 pm. Also a Rock Wall, Petting Zoo, 24 ft. Slide, 65 foot obstacle course, and 20 vendors. The pool will be open, and Free from 4 pm to 7 pm. Everyone welcome. 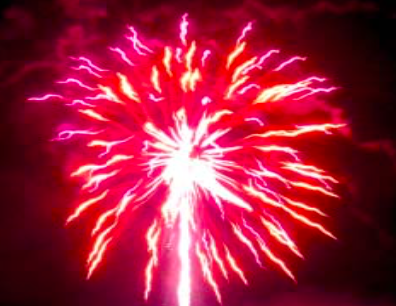 CITY OF JACINTO CITY will have its annual fireworks on “the High Road” between the cities. Begins at dark. Free parking is available at the Galena Park Ag Center on Holland. 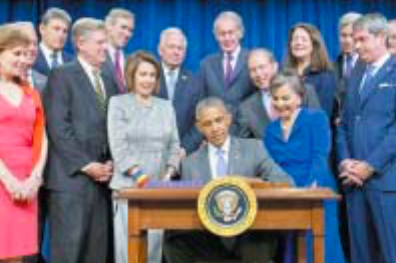 REPRESENTATIVE GENE GREEN, standing behind President Obama with other Congressmen and women, watches as the Lautenberg Chemical Safety for the 21st Century Act is signed into law at the beginning of June. The bill simplifies and updates standards and regulations for the chemical industry nationwide. WASHINGTON, D.C. – Today, President Barack Obama signed into law the first overhaul of the Toxic Substances Control Act in 40 years the Frank R. Lautenberg Chemical Safety for the 21st Century Act. This landmark bill passed the House of Representatives on May 24 on a 403-12 vote and it was approved by the Senate on June 7 by voice vote. 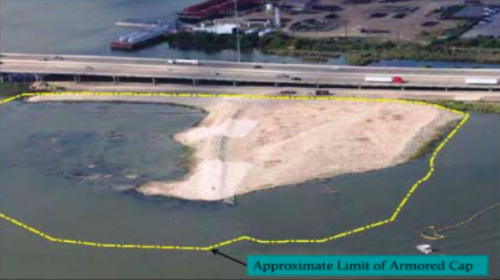 HARRIS COUNTY – As part of a long-term effort to assess and mitigate environmental impacts from toxic waste pits along the San Jacinto River near I10 east of Houston, the Texas Parks and Wildlife Department and Harris County are awarding $10 million to provide new or expanded public recreation and access facilities along the river, plus fund environmental awareness and education efforts.